Used with 3M(TM) Breathe Easy(TM) Systems for protection against ammonia, methylamine and high efficiency particulates. Jaco Aerospace and Industrial is your one stop resource for 3M(TM) Ammonia/Methylamine/High Efficiency Cartridge 453-02-01R06, KP3 6/Case and all of your 3M Products, Tapes, aerospace and industrial needs. 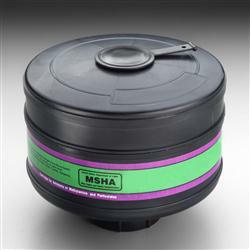 SKU Marketplace Product Description: Used with 3M(TM) Breathe Easy(TM) Systems for protection against ammonia, methylamine and high efficiency particulates.